The individuality of one’s person shouldn’t be overshadowed due to the drawback or shortcoming in physical appearance as it will be as it is, but the looks and appearance can be transformed to the desired extent. If someone affected by the hair loss or baldness, the treatment is ready with the surgical restoration of hair, medications or therapy. The hair loss problem is the reality that mostly occurs due to the genetic reason is known as the Androgenic alopecia or the pattern baldness occurs both in men and women. The treatment option is only permanent with the hair transplant procedure gives the permanent hair roots remains forever on the scalp. Everywhere in the world, the hair transplant service is in practice, but when we talk about the relevancy of the procedure in terms of the best services undoubtedly the hair transplant in India has greater appeal than the hair transplant in USA. Experiencing the hair loss problem is not as easy as one has to go through with many experiences in their lives. There is personal life, professional and a social life demands the interaction with people and no doubt the physical appearance does matter in every aspect. Someone may lose self-confidence if not looking good, but there are people whose personal belief to look as they are. Both are welcomed, but the need for receiving the hair transplant surgery cannot be underestimated. On the Day of Surgery: It is important that your clinic with your friend or relative who will take you home after the procedure. As it is just a one-day surgery takes some hours to complete, however, one can go back home on the same day of the procedure. But, it also is remembered that since the procedure is performed under local anaesthesia or sedative that will make you drowsy and the drowsiness lasts for 8-10 hours. Therefore, it is good to have someone who will take you home after the hair transplant procedure. Keep the scalp Dry on the first day of the Surgery: It is instructed to keep your scalp dry on the first day of the surgery to allow a faster healing process. Keep your Scalp Area clean: It is advisable to keep your scalp areas clean and does not apply anything for a few days after the hair transplant surgery. 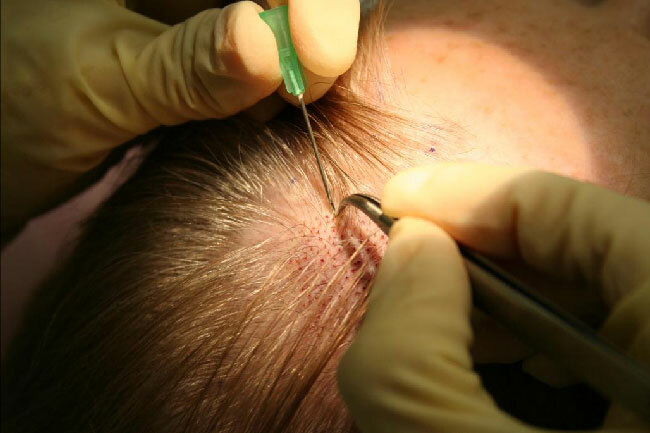 There may be some soreness and numbness as a result of the surgical removal of graft hence it is good to keep the scalp skin clean throughout the recovery period. Apply prescribed topical cream and Antibiotic: It is recommended to apply only prescribed topical solution and antibiotics after the procedure in order to get a faster healing process. The strenuous activity: It is prohibited to avoid strenuous activities like heavy exercise, weight lifting, etc. for a few days after receiving the hair transplant procedure. Avoid Drinking Alcohol: It is not allowed to drink alcohol for the first week before and after the hair transplant surgery. Drinking alcohol may cause an interruption in hair follicles growth as well as the healing process; however, it is advisable to postpone the drinking alcohol for at least a week post procedure. Be gentle when washing Hair: The newly grafted hair should be handled with care for a few weeks after the hair transplant procedure. It is recommended to do a gentle rubbing while head washes so that the graft won’t be damaged. It requires some time to maintain a healthy placement. So, be gentle while combing and washing hair. On the whole, we can say that the procedure of hair transplant needs an aesthetic planning, logical decision as well as a careful post-operative measure in order to attain the best cosmetic outcomes. Next articleLiving with Stiff Neck?